You may have passed them dozens of times, perhaps hundreds of times. But how often have you really paid attention to the signs that grace Buffalo's streets? And how much do you know about the fascinating stories behind these signs? 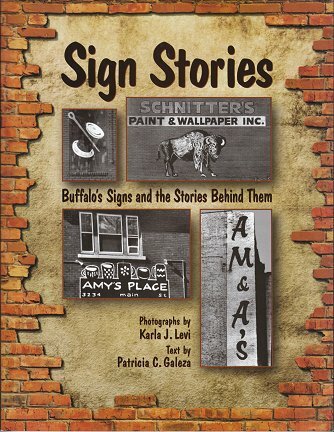 In their new book, Sign Stories, author Karla J. Levi and photographer Patricia C. Galeza will take you on a journey through the City of Buffalo as they use words and photographs to introduce you to the human element behind the painted image, to the story behind the sign. In many cases, these are images familiar to the native. 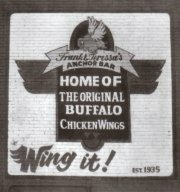 Those who regularly drive around Buffalo and the suburbs may see these signs on their daily commute. But there are also undiscovered treasures here, each with a story interesting enough to make you want to seek out the original. This book will give you a second chance to marvel at these works of art, and the tales behind their creation.